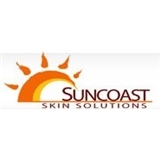 Suncoast Skin Solutions, Inc (Largo) - Book Appointment Online! Offering a wide array of services, provided by Christopher Ewanowski MD, a board-certified dermatologist and fellowship trained skin cancer and laser surgery specialist, Suncoast Skin Solutions strives to surpass all of your expectations for what a physician's office should be. Dr. Ewanowski and his highly trained staff treat a wide spectrum of dermatologic conditions using medical, surgical, laser, and cosmetic expertise. Each office has surgical suites and an on-site CLIA certified laboratory to handle a myriad of cutaneous malignancies, including basal cell carcinoma, squamous cell carcinoma, melanoma, and far rarer tumors as well. With five different laser systems, the office is equipped to handle skin diseases and lesions as varied as sun damaged skin, rosacea, warts, lentigos or sun spots, and unwanted tattoos.